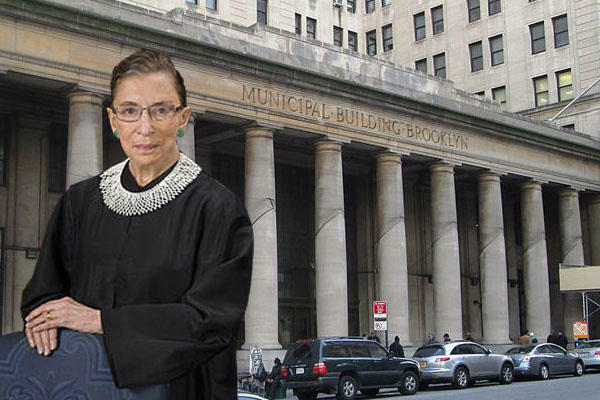 BK Borough Prez wants building renamed for the "Notorious RBG"
Brooklyn Borough President Eric Adams wants to remind people where Flatbush-born Supreme Court Justice Ruth Bader Ginsburg came from by launching a campaign to rename the Brooklyn Municipal Building. The Brooklyn Municipal Building was built in 1924 at a cost of $5.8 million, according to the New York City Department of Citywide Administrative Services. The Manhattan Municipal Building was previously named in honor of former mayor David Dinkins.